Buy Potato peeling and cleaning machine - Shandong Leader Machinery Co.,ltd. Clean potato peeler with skin of potatoes by high pressure water spray and roller friction, make potato gets thoroughly clean and remove the epidermis. (1) clean potato peeler crisps potato chips processing complete sets of equipment: potato peeling machine cleaning, crisps potato chips machine, centrifugal machine, oil-water mixture Fried machine, Fried food de-oiling machine, mixing machine (flavoring machine), nitrogen filling packaging machine. (2) the garlic processing complete sets of equipment: garlic disc machine, dry; No damage; Automatic garlic peeling machine, garlic slice machine, cutting machine, garlic garlic dryers, vacuum packaging machine. (3) the Fried peanut (broad bean) complete sets of equipment: peanut (broad bean) peeling machine, (broad bean open machine) water-oil mixed Fried machine, Fried food de-oiling machine, vacuum packing machine. 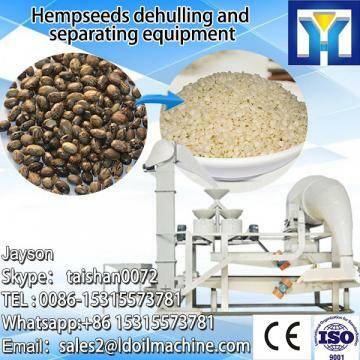 Other devices are: mixer, dough flour-rubbing machine, imitation of the wrappers machine by hand. Mix machine, lantern machine. Red meat slicer, fresh meat slices; Shred; Dicing machine, meat grinder, meatball machine (fish ball machine), poultry depilation machine, the bird's gizzard de-oiling machine, chicken feet peeling machine, bag also.i hair removal machine, stripping gizzard machine. Shred potato peeling machine, peeling potatoes dual-use machine, turnip, sliced vegetable slicer, vegetable cutting machine, such as dozens of varieties and specifications. The above products are widely used in food, vegetable processing enterprises, various factories and mines, army, school canteen, individual farmer entrepreneurship, etc., product guarantees, and according to user's actual development needs, we can manufacture all kinds of food machinery. The factory specializing in the production of: Fried food complete sets of equipment; Fried assembly line, the fruit and vegetable processing complete sets of equipment; Food; Vegetables; Herbs drying equipment, leisure food processing, meat processing, cooking machinery food machinery professional manufacturers, such as business customers all over the country in large cities. 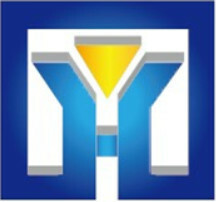 Now with r&d, manufacturing, production, sales for the integration of comprehensive enterprise strength. For the whole Potato peeling and cleaning machine,warranty is 12 months,within 12 months,if have equipment quality problems,we will provide accessories freely. After the expiration of the warranty period,if have spare parts problem,we only receive the cost of required replacement parts.We commit we will provide free technical support of equipment all whole life. Our company has engaged in producing and exporting Potato peeling and cleaning machine for many years, and until now, our machine has exported to overseas market, such as Brazil, India, Indonesia, Russia, Thailand and so on, and get the foreign customers' unanimous praise. We believe that you purchase Shandong Leader Machinery Co.,ltd. Potato peeling and cleaning machine is your best and sensible choice.